Professional video captures your voices as you say your vows, you hear your father’s words as he gives you away, and 10 years from now, you see your family as they were, laughing, crying, having a great time. This is the value of a professional wedding video. We know what to capture, how to capture it without being a distraction, and and we know how to edit it together in a DVD album that you will be proud to watch and show your family and friends. 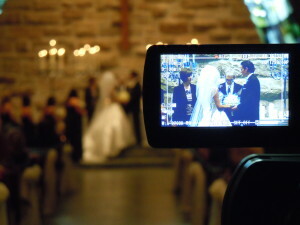 All Occasion Video is a multi-dimensional digital video production company. From multi-camera weddings to seminars theater productions, corporate productions, dance recitals, graduations, weddings and more, we have the experience technology and know how to produce your project and event right. Please come see our wedding videos that play all day at The Wedding Collection to see more of what we do. 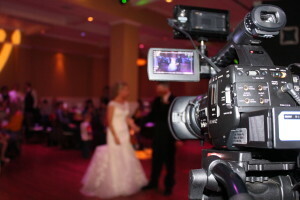 All Occasion Video is the premiere wedding videographer of The Wedding Collection, Springfield, MO best wedding store. The Wedding Collection is a group of professionals dedicated to making your wedding day a complete success! Perfection via professionalism and creativity ensures that your wedding will go off without a hitch. Every vendor at The Wedding Collection works diligently to make sure we are the best wedding shop in Springfield, MO.